As a student at Syracuse University completely unaffiliated with Syracuse University’s most HILARIOUS humor group, The Kumquat, I was psyched to learn that they would be releasing a brand new, and (spoiler alert!) hilarious new article. This article already has a lot of buzz. A social media campaign that was started seconds ago has already racked up three views. Although the article has a lot of Syracuse University specific references, like to Syracuse University’s funniest humor group (their words, not mine), it’s still sure to be relatable to students at all universities, because it’s just so damn funny. It would be impossible for me to give anything away because I haven’t actually read it myself, but you will be laughing the entire time you read this article. Read the article below and let us know what you think in the comments. Sorry for the upload issues, I had some technical problems uploading the article. Here it is for real now. On February 9th, comedian and actress Aparna Nancherla opened for Jenny Slate in University Union’s Spring Comedy Show at Goldstein Auditorium. Nancherla owned the stage with her dry humor and signature understated style, touching on topics that ranged from women’s magazines to what she might wear to a spring impeachment. After the show, The Kumquat got to sit down with Nancherla for an interview. Q: Can you talk about how a joke evolves over your time on the road? How might it change through sets? A: I have a pretty informal process. I think for me it’s a lot of jotting down ideas when they first occur to me and then maybe sketching out a rough outline of what the joke could be, angles that I think are funny, and then kind of talking it out onstage within whatever structure I have. Kind of finding what works and what doesn’t and then from there workshopping it until it takes a form, but it is a very hit or miss process. Sometimes you try a thing and it works for a while, but then it stops working so you either shelve it or scrap it. With other things, the story just happens to be more fully formed and you can work on fleshing it out or making it funnier. Everything has its own process once you try it onstage. Q: As a South Asian woman, did you have any challenges making it in the entertainment industry. If so, how did you overcome it? A: That’s a good question. I do feel like, when I started standup, it was after people like Aziz and Mindy Kaling were kind of breaking, so I do feel like they opened some doors for me that I didn’t have to. There wasn’t as much expectation of, “You’re a South Asian comedian, so you should talk about being South Asian or talk about growing up differently.” I do feel like I was allowed to stick to my own voice and kind of carve my own path in a way that, maybe people who came before me might not have had the same freedom. It was also when YouTube and Facebook and social media really blew up, so that also has really made the platforms for how you can be seen and how people can discover you so much broader than it was before. So, I think I’ve been lucky. I think the old gatekeepers still exist in that, you know, there’s still a diversity problem in Hollywood and representation onscreen is a work in progress, but I do think it’s changing for the better and I do feel like I’ve been lucky in being part of that wave. Q: What was your favorite part about growing up in Arlington or Washington D.C.? A: I feel like growing up I didn’t take advantage of the city that much, so it was a pretty typical suburban childhood. I’m going to be a nerd and say I really liked going to the library when I was a kid. It was a very nice place to grow up. We lived on a street with a cul-de-sac and all the neighbors hung out; it was a very typical middle class upbringing. Q: You often acknowledge as soon as you walk onstage that you’re not the typical white, male comedian an audience is used to seeing. Do you find that you’re held to a higher standard as a woman of color in comedy? A: It’s always tough sometimes to know if you are because I don’t have the reference point of, ” If I were a straight white male in comedy what would that be like?” but I do feel like sometimes it takes the audience a second to be like, “Oh, maybe you’re doing something a little different than what we expect or what we’re used to.” There might be a little bit of an adjustment, but I do feel like, the longer I’ve done it, either people are more familiar with my work or just my own comfort on stage, it feels like I am able to get to what I want to talk about sooner. I feel like, when I started, there was maybe a little bit more of the kind of bridge or divide that people expected from me versus what I wanted to do. Now I do feel like I can get right into what I want to talk about, which is nice. It might be partly the audience and partly me of both growing in a direction of being exposed to more diverse performers and me having more years under my belt. Q: Comedians now have become the vanguard of social morality on Twitter. Can you talk to me about balancing being a comedian with being a sort of political figure? A: It’s interesting because I do feel like social media can be deceptive in that, it can sometimes feel like an echo chamber in that you’re being political, but maybe you’re mostly talking to people who agree with you or, if you’re getting trolls, it’s like the most extreme hatred or vitriol. But, I do think it is good to at least, for me, just be informed of what’s happening, because it feels like things are more polarized and dire than they may have been in the past, and try to use my platform as much as I can for positive change and just to be on the right side of history and, in whatever small way, whether it’s just performing on more fundraisers or showing up for protests. Just in small ways trying to not just be like, “I’m going to tweet about whatever happened today,” but also try to put some action behind that because I feel like it can fall into just, oh I’ll retweet these five things and then that’ll be my calling my representative. Q: In your set, you talked a lot about your introversion. How do you manage to cope with that, especially when you have a career that puts you in the spotlight? A: That’s a great question. I do think that the fun thing about standup is you are talking to a lot of people and dealing with a lot of people, but it’s in a pretty controlled way. It’s like a one-way conversation where you’re sort of talking to people, so I do think in that sense it’s nice for an introvert because you have a little bit more control rather than when you’re at a party or a networking mixer or something. And then, when it’s done, you can just run to your home or go get in your bed and read your book, so it is a nice balance of being able to use the medium to express my ideas and thoughts to the world but not having to constantly be outgoing and being like, “Come to my show!” or whatever. I can sort of dial back once I’m offstage. Q: If you could go back to when you were just breaking out onto the comedy scene in Washington D.C., is there anything you would do differently? A: I think I would just try to be more comfortable with being, maybe, different than everyone else. I think sometimes when you’re starting, people are like, “Oh, you do things like, maybe a little bit outside of the box compared to other people,” and I think when you’re starting sometimes people can be like, “Oh, maybe you should try to dial that back a little bit,” but I think it’s okay to really own it and double down on it. I think, maybe if I did it again, I would just try to do that more. Breaking: This Student’s Parents Wanted to See a Movie at Destiny, But Didn’t Want to Support Those Hollywood Liberals. What Happened Next? Ashley was looking for a fun weekend activity while her parents, Jim and Karen, who she lovingly refers to as “Jim and Karen”, were in town. Did she want to go to Denny’s? Turning Stone? All great options, but Ashley decided to kill some time by seeing a movie at Destiny. One problem though…who wants to support those Hollywood liberals? And no, Jim wasn’t talking about “Swish Swish” as his favorite song, but the national anthem. But what about Karen, American housewife and mother? When they arrived to the theater, Ashley warned them they might have to see something a little more woke for their tastes. She suggested “The Lego Ninjango Movie”, something fun yet socially relevant the entire family could enjoy, but Jim feared those yellow toys were made by those commies in China. If he wanted Chinese food, they would’ve gone to New York City, dammit. As Jim wiped away a tear at the pride of his generic daughter’s accomplishments, Karen suggested they go see the film “mother!”, as Karen is Ashley’s mother, and maybe the film will give her some inspiration for a caption come mother’s day. SYRACUSE, NY- Chad Conway thought he had been relaxed enough as a TA in his MAT 221 recitation that he could start to exert a bit more authority on his students. He thought wrong. In last week’s recitation, the graduate student had the gall to ask two freshman boys to put away their laptops and stop listening to recap podcasts of American Vandal episodes. This, according to other students interviewed after the incident, was a reasonable request. Conway, in response, sighed with his head down, and told students he was going to end class early that day for unrelated reasons. He was unavailable for comment after class. The Kumquat has the sad misfortune to report that Fetty Wap was found dead around 5:30 p.m. today. Fetty Wap was set to be the headliner for the year’s most anticipated event, Juice Jam, but was impeded by the inevitability of death. 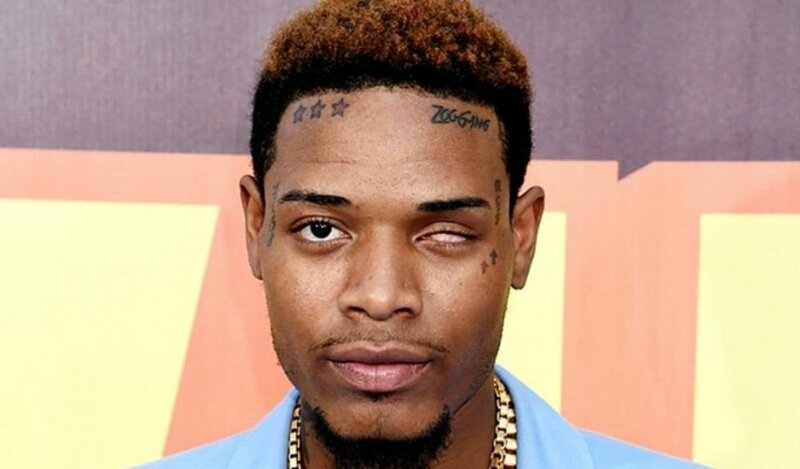 According to official reports, Fetty Wap decided to walk the beautiful streets of Syracuse when three tweens, roughly 12-14 came across him. Not recognizing who he was, the tweens forwent robbery in favor of murder and Mr. Wap was brutally stabbed to death on Stratford. It has been confirmed that the tweens in question are the same ones who have recently been terrorizing the streets by mugging people. Students are enraged Fetty Wap could not perform. They have been trashing him, UU, and sending his family death threats. Dear students, can you not think for once that maybe the artist didn’t show up because he was murdered? How do you feel now? Fetty Wap was near and dear to all of our hearts at the Kumquat. The words he sung are imprinted in our brains forever. He was one of the wisest of our generations, and although we will never be able to hear him live, he will forever lay buried underneath the Promenade.